“We are very fortunate to have the opportunity to work with Frank in providing client services. With his operational experience and expertise, we are adding tremendous value to a variety of client engagements to better secure their networks and better prepare them to respond to data security incidents,” said Data Privacy & Cybersecurity Chair Sean Hoar in a press release. As a part of the data privacy and cybersecurity team, Gillman provides clients with security control assessments mapped to information security frameworks, incident response planning, tabletop exercises, executive training in network security awareness, and information security policy and procedure development. 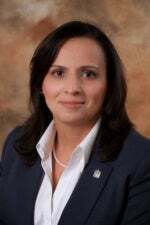 Farshchi, who previously served as CISO at The Home Depot, will assume company-wide leadership of work already underway to transform the company's information security program and collaborate with the industry to share best practices on information security. He will be based in Atlanta, Georgia, and report directly to the CEO. "We are pleased to welcome Jamil to our team and confident that he possesses the talent and skillset needed to continue our journey toward developing industry-leading security practices and, ultimately, to help us regain trust with consumers and customers," said Paulino do Rego Barros, Jr., interim CEO at Equifax, in a press release. "Jamil has a reputation for helping enterprises rebuild and fortify information security programs. His expertise in risk intelligence and cybersecurity combined with his intimate knowledge of industry best practices will allow us to design and deploy a best-in-class, global security strategy to re-establish ourselves as a trusted leader." Prior to his role at The Home Depot, Farshchi was the first global CISO at Time Warner, where he brought to bear risk-management techniques from the financial and government sectors to develop a model security program for the media and entertainment industry. Before that, Farshchi was the vice president of global information security at Visa, where he developed and implemented the firm's first global information security strategy; led efforts in mobile security, identity, and big data; and transformed its security program into a recognized global leader. Nester is an accomplished information security leader with 20 years of experience and success in fulfilling mission-critical security objectives and goals, and directing global technology teams. At Hewlett Packard, he managed the global team of application security experts. Nester offers advanced capabilities in application security and risk management combined with a deep understanding of the intersection between technology, business, and operational needs. Rajan will be responsible for ensuring security compliance of the CAT System and evolving and executing cybersecurity programs as the CAT platform advances from build to live along with its continuous development and optimization. He will also be responsible for partnering with the CISOs from the self-regulatory organizations (SROs) to ensure the highest standards of security across the CAT System. Mike Beller, CEO, Thesys Technologies, said in a press release, "Security has been at the forefront of our design and strategy for the CAT system from the beginning, and one important key to success is ensuring there is a well-rounded leader to oversee all the security aspects of the CAT, both before it goes live, and once it is operational. We are pleased that, together with the SROs, we have found an exceptionally talented candidate like Vas, who is highly capable of securing the system and working with the multiple stakeholders within CAT to deliver best in class security practices." Rajan joins Thesys CAT with over 20 years of IT experience within the financial services industry. Most recently he served as CISO and business continuity officer of CLS Bank, the member owned FX market utility, where he was responsible for the security strategy of the company in accordance with all requirements of a financial market utility, designated as systemically important by the U.S. government. Prior to CLS, Rajan was head of security and privacy officer of ING Direct USA, a major retail bank and brokerage. A specialist in threat and risk assessment, crisis management and response, and emergency program management, Carter will work with Armored Things customers to bridge the gap between cyber- and physical security. The company develops software that protects large public and private facilities and venues against risks and threats. Prior to joining Armored Things, Carter led crisis management for the Americas at Apple, Inc., where she was responsible for responding to incidents and protecting the company’s operations, personnel, and facilities throughout North and South America. Her experience also includes senior director with The Chertoff Group in Washington, DC, where she worked with public and private sector clients on issues related to counterterrorism, cyber security, crisis management, health preparedness, and infrastructure protection. Duarte has extensive experience deploying product and company-wide security programs and will continue to advance the industry- and country-specific customer security requirements for Snowflake, a cloud-based enterprise data warehouse provider. “Mario’s industry leadership will be crucial to accelerating product innovation, enhancing our go-to-market strategy and advancing our enterprise-grade security for customers to help enterprises uncover maximum value from their data,” Snowflake CEO Bob Muglia said in a press release. Duarte has worked in the retail, health care, and financial sectors for two decades. He has built and managed security teams, developed and implemented security programs and has managed PCI and HIPAA compliance initiatives for medium and large organizations. Domas will responsible for the introduction of MedScan, which allows hospitals to assess the cybersecurity status of the medical devices on their networks. She is widely recognized as one of the leading experts in healthcare cybersecurity, having contributed toward national security guidance and standards for medical devices, authored dozens of industry articles, and presented at major conferences. Domas was previously the director of product security at Battelle. At MedSec, she will facilitate collaboration between manufacturers and hospitals, and help them work through pain points on both sides. “I’ll be leading a MedSec team that will help hospitals assess the state of the devices on their networks and facilitate with the medical device manufacturing community to determine the most effective and efficient solutions,” said Domas in a press release. Domas is an active member of the UL2900, UL5500, AAMI TIR-57, and AAMI TIR-97 standards committees, shaping industry best practices and security standards for medical devices. She is a registered Professional Engineer (PE) in the state of Ohio, and a Certified Ethical Hacker (CEH). She was recently named a 2017 Influential Women “One To Watch” by the Executive Women's Forum, the largest member organization serving emerging leaders as well as the most prominent and influential female executives in the Information Security, Risk Management and Privacy industries. Chauhan will set up and enhance Paytm’s enterprise security strategies, infrastructure, and network design. He will also secure links with partner banks and financial services, and he will oversee regulatory compliance with an emphasis on building a security framework for all Paytm Payments Bank customers. Chauhan has two decades of infosec experience. Before joining Paytm, he served as the CISO at RBL Bank for more than six years. Prior to that, Chauhan worked with Kotak Bank and other financial institutions. He graduated in Commerce from Delhi University and holds an MBA degree in IT and International Business. He is a CISA professional and is a certified Lead Auditor from BSI for BS 25999 and Lead Implementer for ISO27001 security standard. Viveiros will be responsible for the development and implementation of BankNewport’s information security, vendor management, and business continuity programs. She comes to BankNewport from HarborOne Bank in Brockton, Massachusetts, where she served as vice president, information security officer. Viveiros is a Certified Information Security Manager (CISM) and Certified Information System Auditor (CISA). She is also Global Information Assurance Security Essentials certified. Viveiros completed the Bryant University Executive Development Center Business Continuity Program and is currently pursuing certification as a chief information security officer from the International Council of E-Commerce Consultants.